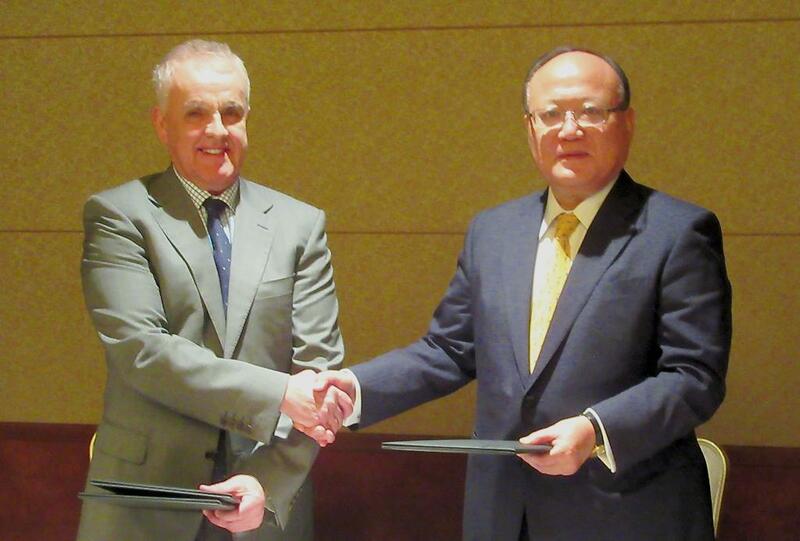 Japan Coal Energy Center (JCOAL) signed Memorandum of Understanding (MoU) with Minerals Council of Australia (MCA) and ACA Low Emissions Technology (ACALET) to enhance the collaboration among the parties for the purpose of promotion of best practices in the fields from coal development to coal utilization. Taking the opportunity of Mr. Greg Evans, Executive Director - Coal, MCA, and CEO, ACALET, coming to Japan to attend the Clean Coal Day in Japan 2017 International Symposium (held during 5th and 6th September 2017), JCOAL, MCA and ACALET had a ceremony for signing the MoU on 6th September. Coal is extremely important energy source being utilized in all over the world, but it has some weak points of emitting more Sox, NOx, particulates and CO2 compared with other fossil fuels. It is, therefore, vitally important to develop and disseminate the Clean Coal Technologies, counter-measures to mitigate the environmental impacts. The MoU will form the basis for the parties to construct the mutually beneficial working relationship among the parties through the exchange of information and mutual collaboration in aggressively appealing the importance of coal to the public. The signing was done by Mr. Greg Evans and Mr. Osamu Tsukamoto, President of JCOAL, and witnessed by Mr. Hiroyuki Tsukada, Director, Clean Coal Division, Agency for Natural Resources and Energy (ANRE), Ministry of Economy and International Trade (METI), and Mr. Trevor Holloway, Counsellor (Resources & Industry), Australian Embassy. 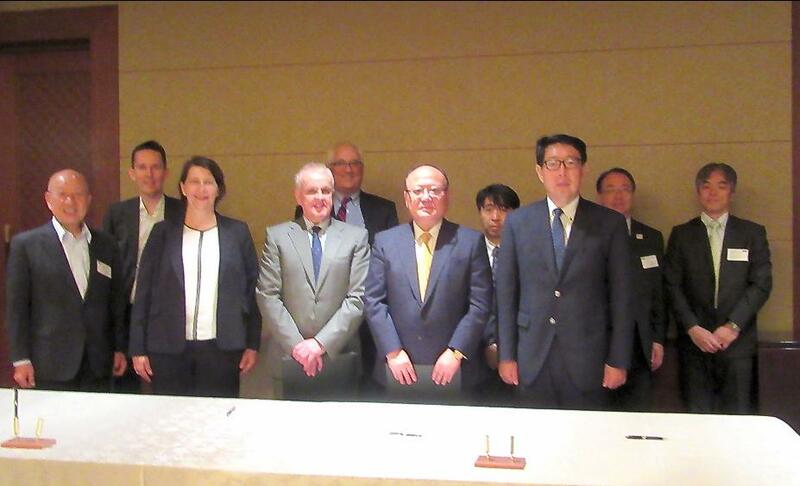 The signing ceremony was also attended by Mr. Mike Lawson, Deputy Secretary, and Ms. Sarah Chapman, Assistant Manager, Department of Industry, Innovation and Science, Australian Government, and by Mr. Hideyuki Umeda, Deputy Director, Clean Coal Division, ANRE, METI. Mr. Tsukamoto wished the continuation of the good relationship between Japan and Australia, saying "Japan and Australia have long been developing the relationship of mutual collaboration for coal development and coal utilization. Coal will stay to be an important energy source. I wish the mutual collaboration will be further strengthen through the MoU concluded this time." Mr. Evans emphasized the significance of the MoU, saying "Australia and Japan have trading high quality Australian coal for more than 50 years. In order to solve the problem of CO2 emission it is important Australia and Japan should work together utilizing such technologies as CCS, ACALET has helped developing through its Coal21 Fund, and Japanese HELE technologies." The Minerals Council of Australia represents Australia's exploration, mining and minerals processing industry, nationally and internationally, in its contribution to sustainable development and society. Australia's minerals industry is innovative, technologically advanced, capital intensive, and environmentally and socially progressive. The industry is a major contributor to national income, investment, high-wage jobs, exports and government revenues in Australia. MCA member companies account for more than 85 per cent of Australia's annual mineral production and 90 per cent of mineral export earnings. ACA (Australian Coal Association) was merged into MCA in 2013. ACA Low Emissions Technologies Ltd (ACALET) was established by the industry to operate the COAL21 Fund and manages its relationship with its investment projects. In March 2006, the industry established the COAL21 Fund to help finance the pre-commercial demonstration work needed for the key technologies. Callide Oxyfuel Project in Queensland received financial support from COAL21 Fund.